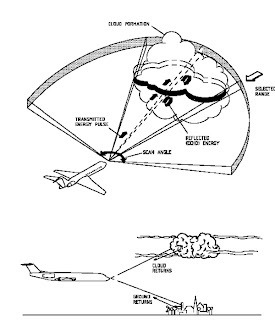 The radiation absorber material is necessary for proper operation of the weather radar system on airplanes with radar antennas that scan 360 degrees. The radiation absorber material provides protection for the radar receiver when the antenna is directed aft toward the pressure bulkhead. 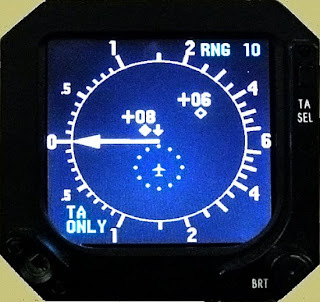 It also prevents false target that may otherwise be displayed due to reflections from the pressure bulkhead. The purpose of the radiation absorber material is not for the protection of the flight crew. New weather radar systems scan approximately 180 degrees in the forward direction only. 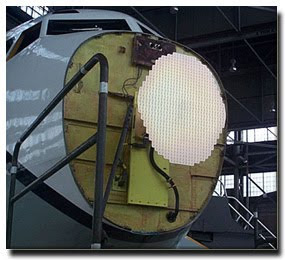 Radiation absorber material is not required for airplanes equipped with radar antennas that do not scan 360 degrees, such as the new ARINC 708 weather radar system.